Pursued into the wild by the soldiers of Ungstah, former slave Crik and the other freed Downers encounter the magical and terrifying nature of their world. They face spectral Shepherds, man-eating Rukmush, and the ancient giants of the earth. When two of their group are captured, Crik is distraught and powerless. Meanwhile back in the city, Durgan, former Captain of the King’s Guard who allowed Crik and his friends to escape from Ungstah, is now a Downer, one of the Branded. 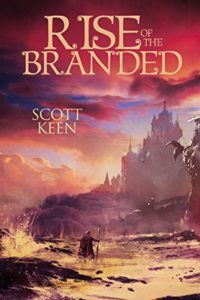 Amid the murmurings of an uprising among the Branded, Durgan just wants to be left alone to search for his missing son. But in the process, he discovers how dark the powers of Sulfus the king truly are. Durgan must take a stand in the coming war between the Branded and the powerful armies of Sulfus. To kill any hope of escape for the city’s Branded, the army comes after Crik and his friends to make an example of them. The answers for Durgan, Crik and freedom for all Downers lie hidden in the dark recesses of the Northern Reaches, in the treacherous places Crik and his companions are about to enter. Pick up Book 1, Scar of the Downers, at Amazon. Sitting down to write, and opening your mind, in this case, to another world, is one of the hardest things for me to do. When my mind is filled with problems, worries, and other stresses that come with living life, it, as you can imagine, is difficult to escape into another world and write, no matter how badly you want to. So how do I assist my mind in leaving these things behind? Well, that’s what I’m going to discuss. When I sit down to write with my cup of coffee next to me, I don’t just start writing. I must first find myself and my story. That seems pretty vague, doesn’t it? I always cringe when I hear the phrase, “find one’s self.” However, this is what I mean. I must push aside all the other cares and stresses, all the other self-doubts and business. I must find that part of me that loved to write because it took me somewhere I have never been, but always wanted to go. What helps me to do that? Sometimes nothing. But what I usually turn to are these four things: reading a book, listening to music, watching a movie clip, or watching a trailer. I’ve written many different types of stories in the past. 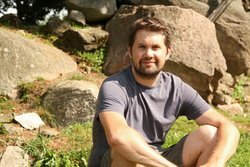 I’ve written screenplays, stage plays, short stories, and novels. Though my two published books are fantasies, not everything I’ve written is fantastically based. So, the answer to the question is this: It all depends on the story. When I began writing a novel that was set in the present, I spent most of my time listening to modern music. Of course, that doesn’t mean I listen to pop radio. The music, of course, has to be somewhat evocative, and it must evoke the mood of the story. While writing Rise of the Branded, it required me to choose different type of music. For the most part, it was instrumental, since words have a tendency to distract me. And what I have found is that some of the most evocative music out there comes from soundtracks. With that being said, here is a playlist of some of the songs that I used while writing Rise of the Branded. This aided me in focusing on the writing task before me as well as finding the needed emotion of certain scenes. Scott grew up in Black River, NY, the youngest of three children. While in law school, he realized he didn’t want to be a lawyer. So he did the practical thing – he became a writer. Now, many years later with an MFA in script and screenwriting, he is married with four daughters, two of whom he home schools. 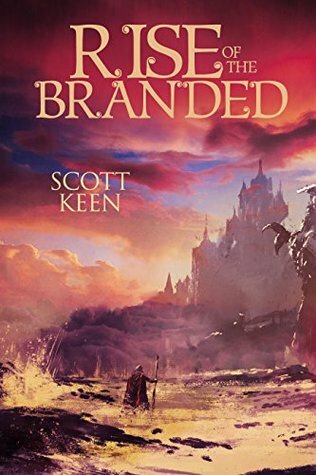 The cover for Rise of the Branded is really nice! Reminds me of Arizona mesa country. The blurb is intriguing, sounds like part of a great series and would certainly like to find out how Crik fares. Thanks for the review, looking forward to reading this book! I like the cover! Very artistic!